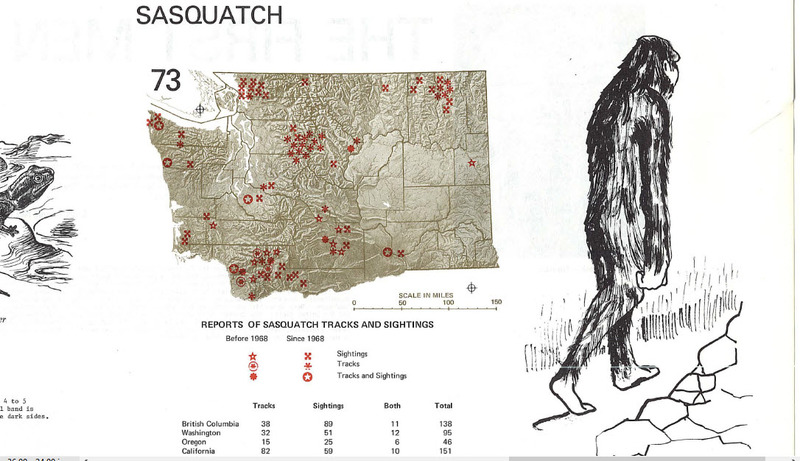 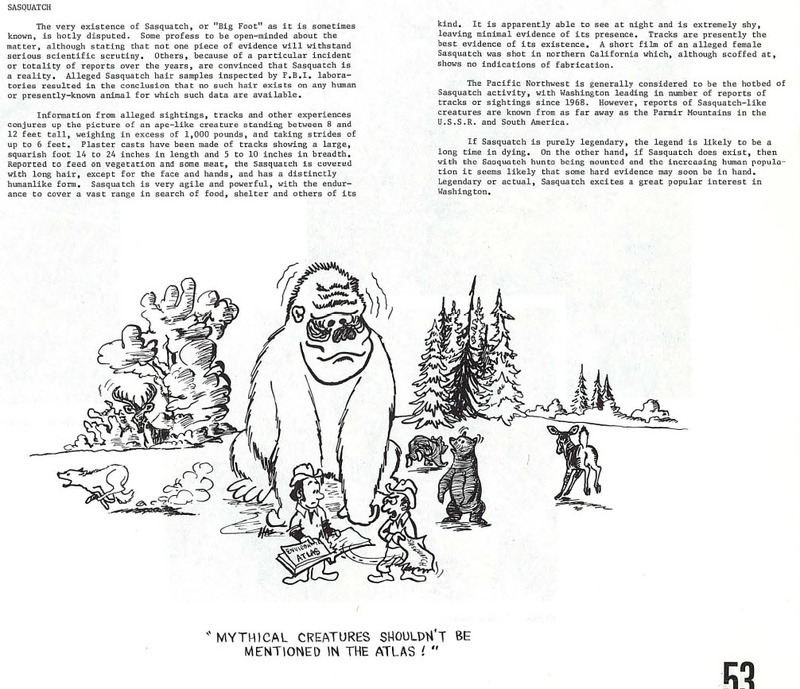 The Atlas also profiles Sasquatch aka “Bigfoot” in the Atlas. 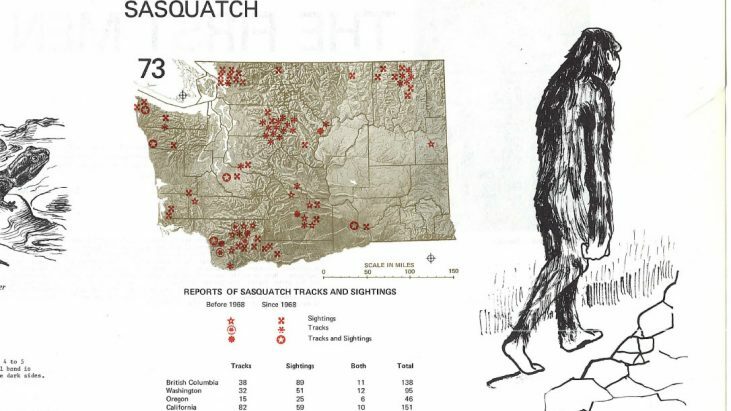 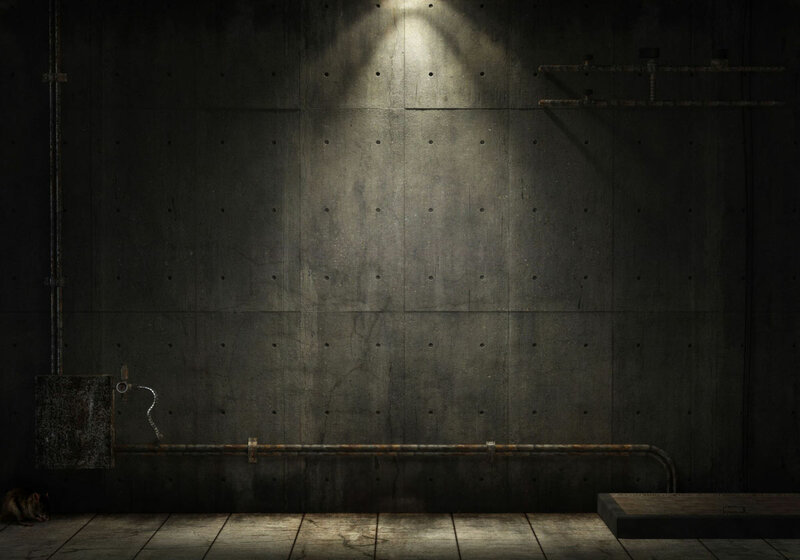 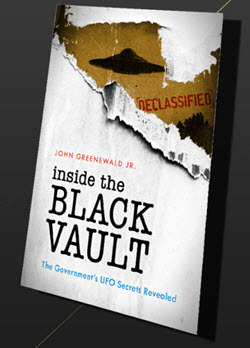 A sightings map, details on Bigfoot and multiple drawings appear. 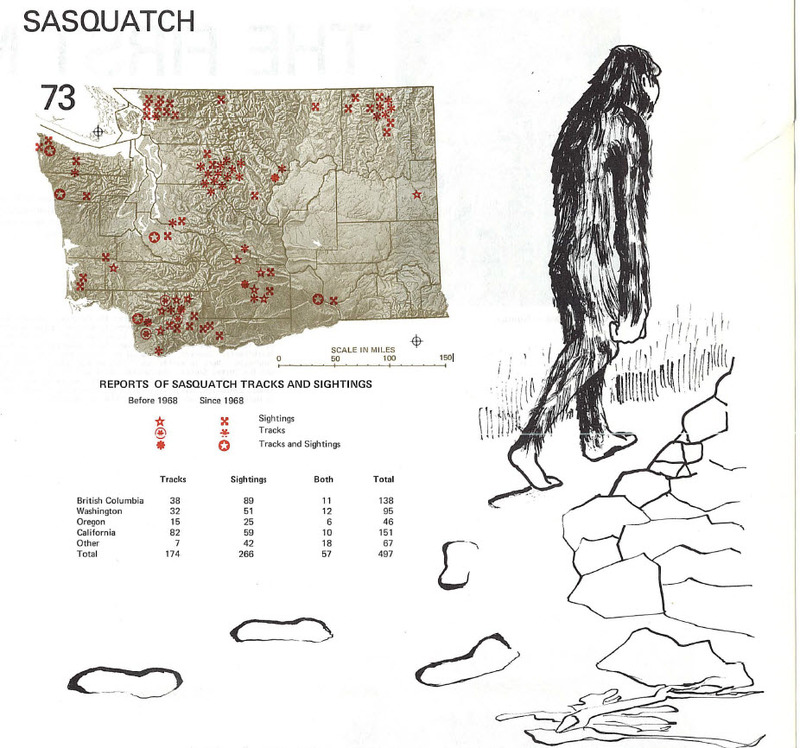 1975 Environmental Atlas for Washington (in full) [111 Pages, 306.5MB] – Please note: this is a large file, and you may want to right click, and “save as…” vs. opening in a browser.